In 2017, the Swartland Municipality approved sand mining in the Paardeberg and regardless of the Protect the Paardeberg Coalition and their strong and justified opposition to it, mining has begun. One hour from Cape Town, the Paardeberg spans approximately 4,000 ha and is home to many of SA’s greatest vineyards. The PTP Coalition is a non-profit, volunteer-based organisation that is striving to protect the area’s agriculture, jobs and biodiversity. Today, Wine Cellar is teaming up with Eben Sadie and the Swartland Independent Producers to support this worthy cause. 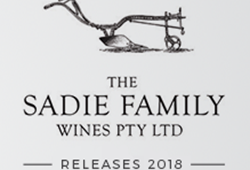 100% of the proceeds from this offer will be donated to the organisation – all in aid of lobbying against sand minding and protecting the Swartland’s fine wine regions from unsustainable practices and the influx of trucks, dust and noise. 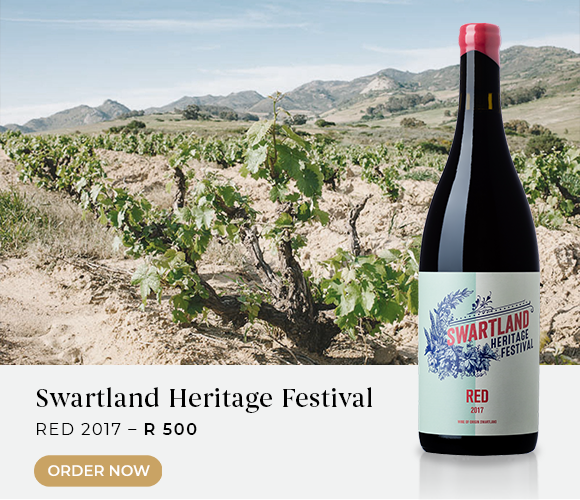 Purchase either the 2017 Swartland Heritage Festival Red or our PTP International Mixed 6-Pack to show your support. 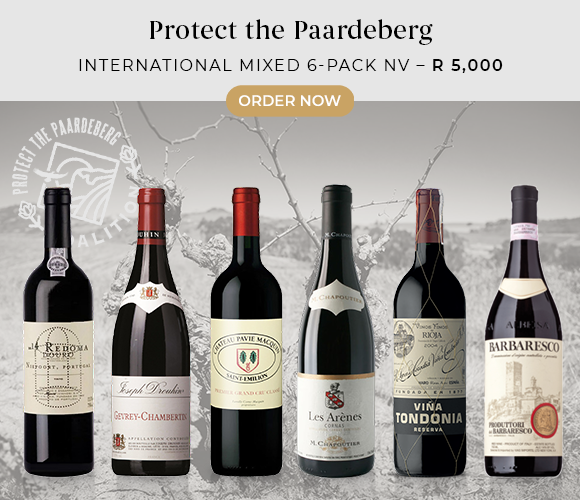 If you would prefer to make a cash donation, you may do so on the Protect the Paardeberg website. Only 60 bottles available. 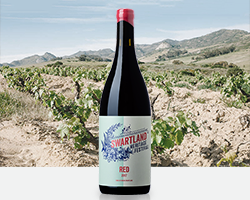 The 2017 Swartland Heritage Festival Red is a blend of 55% Cinsaut, 30% Syrah and 15% Pinotage. 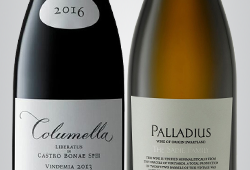 It is the collective effort of the producers of the Swartland Independent and can be viewed as a truly regional wine. The wine is elegant, linear and very soft-spoken. The 2017 is actually drinking well in its youth as a result of the higher component of Cinsaut. Two barrels of this wine were blended and bottled in October 2017.